Planning a road trip with the kids? 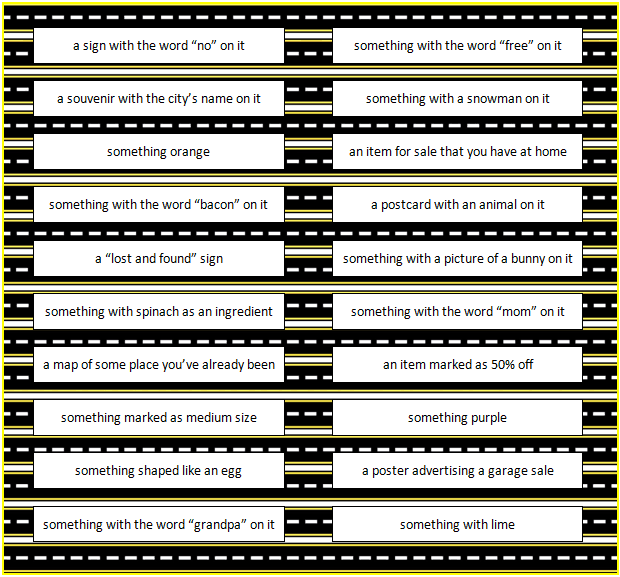 A fun idea to help pass the time is to play a Road Trip Scavenger Hunt game. Everyone can keep a watch for the items on the scavenger hunt list – see how many you can find during your road trip! What is the most unique thing you’ve seen while on a road trip? Do you ever plan your drives so that you go past landmarks or do you skip the tourist portions and drive the back roads? Don’t miss these two other Road Trip Travel Games – Road Trip Scavenger Hunt and Road Trip BINGO. Simply click on each picture to open the games in a new window. Looking for more fun & free printable games? Check out our page full of freebies like charades, more scavenger hunts, word searches, word scrambles, BINGO cards and more. 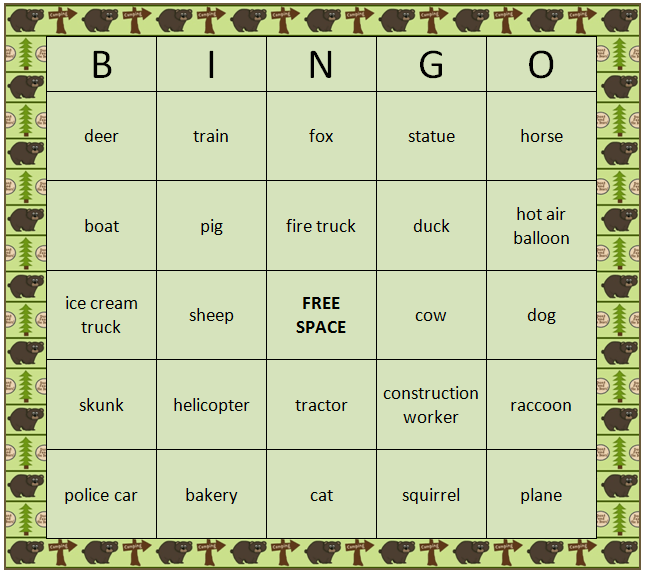 We also have other freebies perfect for travel like Airport BINGO, Airport Scavenger Hunt, Hotel Scavenger Hunt, Restaurant BINGO and more! You’ll find these all on the free printable games page. To stay updated on the latest ideas (we’re always adding new freebies!) follow along on Facebook, Twitter, Pinterest or our new RSS feed Bloglovin’. We look forward to seeing you there! I LOVE this! We are going on a road trip in August. And it’s funny- I’m not worried about the 2 year old, but my 9 year old will be a complete freak if I don’t have stuff for her to do. Thank you thank you thank you. Thank you for this. It’s vacation time, so this scavenger hunt idea is right on time. I love this printable/game. Perfect for keeping my 8 year-old entertained, lest we hear “are we there yet” a million times… LOL. I pinned it now for when we’re ready to go. Thanks so much! I love this Cheryl. 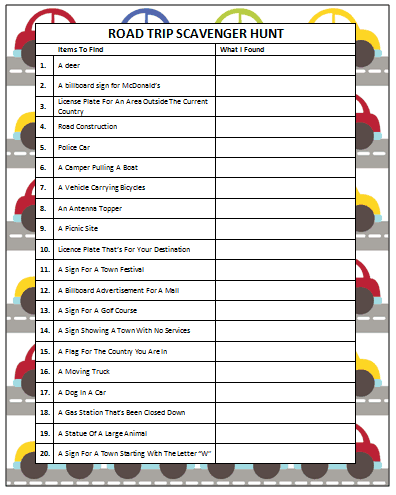 I foresee our next car trip being a lot less stressful and a lot more fun with this printable. Love this! We do lots of road trips and I’m always looking for things to occupy my kids. Featuring on Family Fun Friday tomorrow — thanks for linking up!